Most people don’t realize the difference between an ophthalmologist, an optician and an optometrist (doctor of optometry). While all of them specialize in eye care, their levels of training and educational requirements vary. -Carrying out eye exams, diagnosing eye diseases and disorders such as macular degeneration, cataracts and glaucoma. – Recognizing and co-managing conditions related to eye problems such as brain tumors, high blood pressure and diabetes. – Prescribing eyewear — including, low vision aids, safety eyewear, contact lenses, sunglasses, and eyeglasses. – Removing foreign objects from your eyes and other minimally evasive procedures. 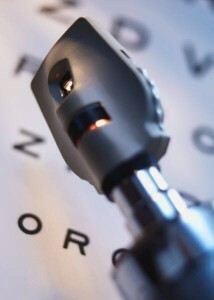 Ophthalmology is the profession in the eye care industry that addresses surgical and more complex medical eye issues. These problems can involve multiple systemic conditions affecting the eye or requiring surgical intervention. Opticians are a very important part of vision care. Their education and training usually is done through a technical college program, online program, or receive on the job training which provides them with the skills needed to fit and dispense prescription eyeglasses. While an optician cannot write prescriptions, conduct eye exams or diagnose or treat eye problems, opticians do design and fit glasses or contacts upon prescription by a doctor. Making lifestyle prescribing decisions with the patient is an important role of the optician to insure the patient’s glasses meet their lifestyle needs. Although a knowledge of optics, frame materials, and even anatomy is a must, these skills can be taught. A high degree of manual dexterity as well as exceptional communication skills are necessary abilities that are not as easily taught, but can be the difference between a good optician and a great one patients return to year after year.